Volunteer Without Swinging A Hammer! 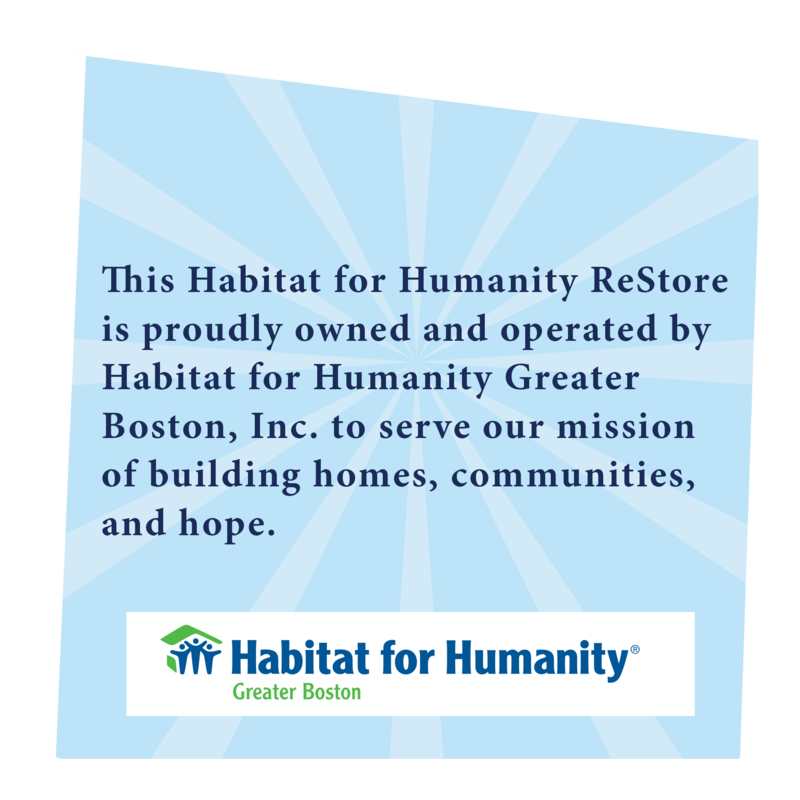 All proceeds from ReStore sales support Habitat for Humanity’s mission of building affordable homes in partnership with working families in our local community. In addition to helping build homes, community, and hope, ReStore purchases help keep tons of usable materials out of landfills. Volunteers like you help us achieve our mission by keeping our store operations running smoothly. Volunteers create a unique, fun, easy-going, creative work environment that encourages our customers to keep coming back. We are truly thankful for everyone who has helped us along the way. We can find valuable work for nearly all skill levels. If you have the compassion and dedication to improve your community, we’d love to hear from you. Are you someone who would like an ongoing volunteer opportunity? Please sign up for a volunteer day below, and when you come in on your scheduled day, talk to ReStore Director Mark Auterio about ongoing ReStore volunteer opportunities. We need ReStore volunteers Tuesdays through Saturdays from 9:30 am to 5pm. Find a day listed as “ReStore Volunteers Needed” on the Volunteer Calendar. Submit a Volunteer Application to schedule your volunteer day! 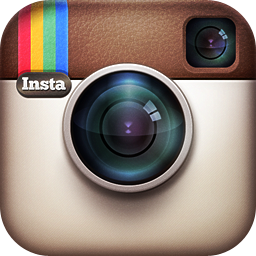 You will be contacted within a few days with a confirmation and details. Every day at the ReStore is a little different, and everything you do to help is important, so we appreciate your flexibility as a volunteer! Occasionally, we’ll have a special project that comes up like sorting bin tables, reupholstering furniture, or painting. We need volunteers on a regular basis, and are particularly interested in volunteers able to make a regular, recurring time commitment. 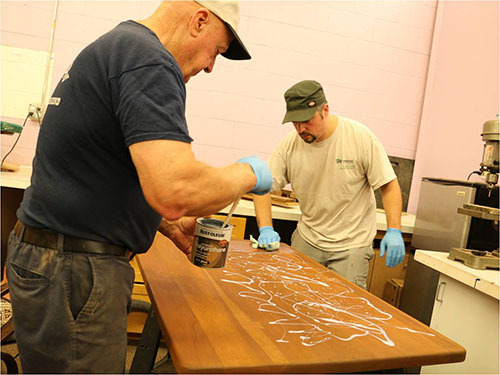 Returning volunteers help us train new volunteers and keep the ReStore running smoothly. Come try a day and then let our ReStore Volunteer Coordinator know if you're interested. All volunteers must wear sturdy, closed-toed shoes. No exceptions. Wear work clothes that you don’t mind getting dirty. Wear clothes appropriate for the weather. 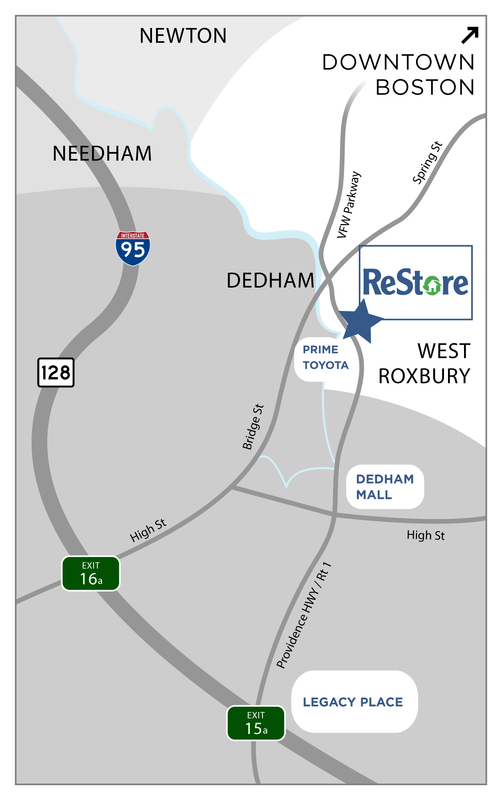 Some areas of the ReStore are not heated, or you may be working outside. Please refrain from wearing imaging on your clothing that may be offensive or inappropriate, as you will be representing Habitat for Humanity during your volunteer shift. Bring a water bottle if you have one, and a lunch if you will be working all day. Please leave your MP3 players and other valuables at home. Bring a good sense of humor and flexible attitude, as we have come to expect the unexpected! We are unable to accommodate volunteers under the age of 16. If you are under 18, you MUST either be accompanied by an adult OR have your waiver signed by your parent or guardian. For safety purposes, please do not bring earbuds or headphones. Sign in at the register and fill out a volunteer waiver. If you are under 18, your waiver must be signed by a parent before you can begin working. You will receive an orientation and tour of the store before starting on the day’s task list. Have Fun! We are glad you chose to volunteer with the ReStore!